Physical activity is essential for the development of healthy children, according to parenting and child health expert, Cath Curtin. Guidelines recommend around three hours of physical activity every day and Cath Curtin says this can range from playground fun and backyard games, to walking older kids to school and ‘helping’ parents in the garden on the weekend. BabyLove invites parents to cheer their active tots! Toddlers love physical activities are natural athletes – something that nappy brand, BabyLove is celebrating with its #toddlersareathletes campaign this month. And whilst most toddlers are naturally active – wouldn’t it be fun if you could predict a rising star in the making? The words ‘active toddler’ aptly describe ‘Dancing Hurdler’ Australian Sprint Hurdler, Michelle Janneke. Walking by 10 months, she quickly discovered dance, quad biking and soccer, and by the age of 10 was being coached in sprint hurdles. “I tried everything and must have run my parent’s ragged with my never-ending energy and was definitely sporty from a young age. However, I never thought I would end up competing in an Olympic Games and it is such a buzz!” Michelle represented Australia in the 2016 Rio Olympics, and now has her sights set on next year’s Commonwealth Games. “Not only does active play and exercise help children to build a healthy and strong body, it also improves their motor skills, dexterity and coordination. Plus, you will also be developing early socialisation as well!,” says Cath Curtin. BabyLove’s Toddlers Are Athletes campaign showcases Nappy Pants – which are especially suited to curious toddlers on the go. 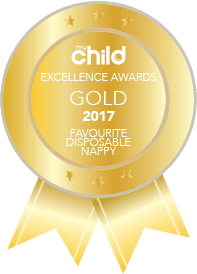 “Pull-up Nappy Pants are our most popular nappy for energetic toddlers because they have a 360-degree soft and stretchy waistband that provide youngsters with a greater level of comfort and the flexibility to move – which we know they love to do,” says BabyLove’s Jessica Trinh. This month, BabyLove is inviting parents to celebrate their little athletes and share an action photo on BabyLove’s Facebook page. On 13 November, BabyLove is launching a 4-week Facebook competition to win a $300 hamper of BabyLove Nappy Pants and Crayola, with weekly Winners and runner up prizes up for grabs.